This is the last year with the MQD 2.0. On July 5th, 2013 MQD 3.0 will be released. I think I get an automatic upgrade. There is no option to keep the 2.0 that I have even though it works beautifully. Before Mike got his hair cut, when he was inclined to punish can upon can of PBR and wear band t-shirts to work and sleep in his favorite hoodie and hoot and holler like a twenty-some year old boy he would occasionally get a little tanked. 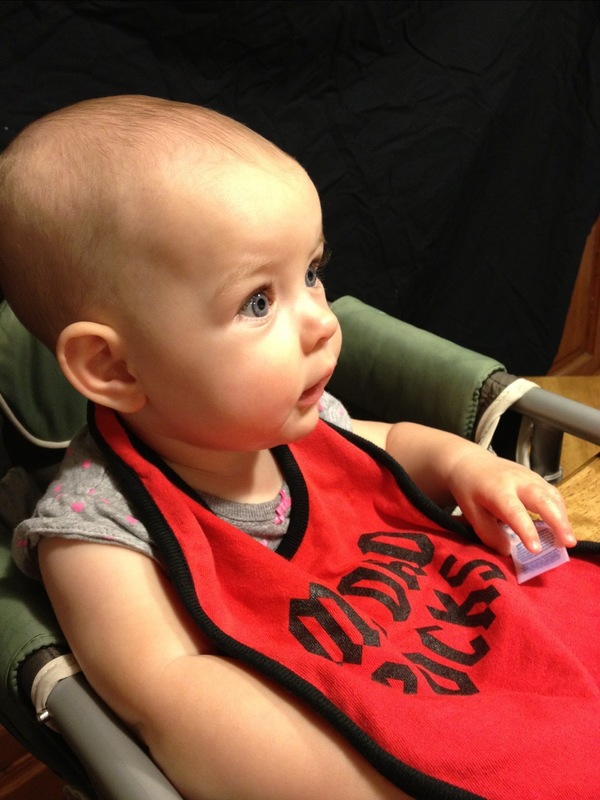 And if something happened that was in the least bit awesome…. you were fucked. 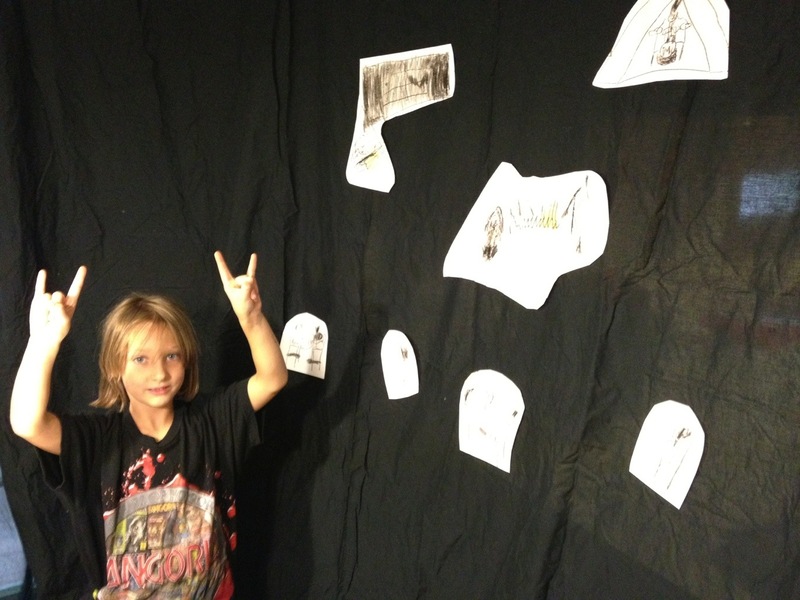 Because he would announce that it was SO METAL. Only he would not just announce it. He would holler as if he was in the fiery pits of hell with nothing to save him but the sound of his own voice. And if you rolled your eyes in the least bit it got worse. And louder. He lost his voice one night declaring time and time again that our friend Jenny’s sister’s mini-van was SO METAL. We were not giving it the respect it deserved evidently. Maybe you haven’t heard. 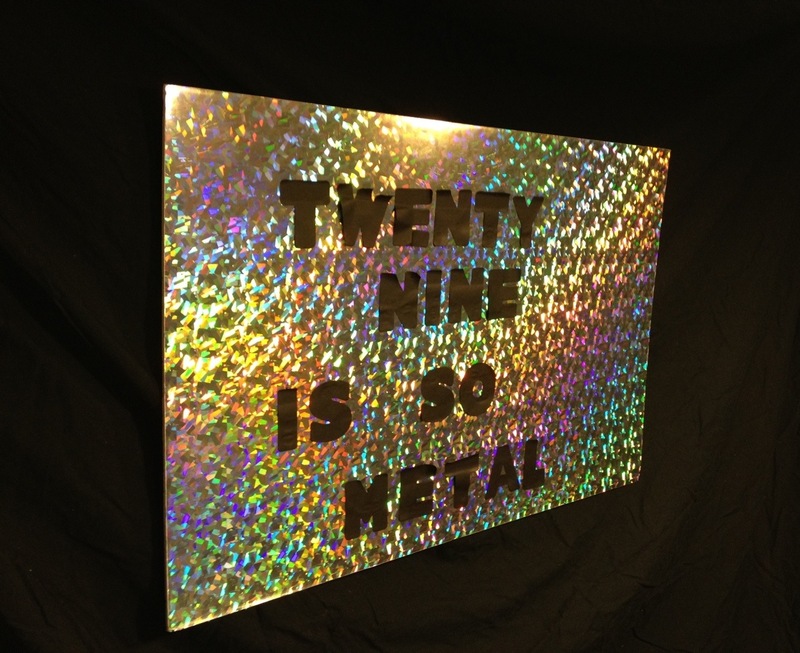 But twenty nine is so metal. For Mike’s 29th birthday there was only one option for a theme. TWENTY NINE IS SO METAL. And that is where my creative juices came to a screeching halt. It was Em that said there had to be a band. I can take credit for having Iron Maiden’s “Wasted Years” playing as he came in the house. But c’mon “Realize you’re living in the golden years…” that song is begging to be played at a twenty-ninth birthday party. We laughed. We ate cake. We listened to Judas Priest. It was a good birthday. I hope the drummer goes home before MQD’s 30th birthday. He is still hanging out on the wall in the kitchen. Luckily he is smiling. 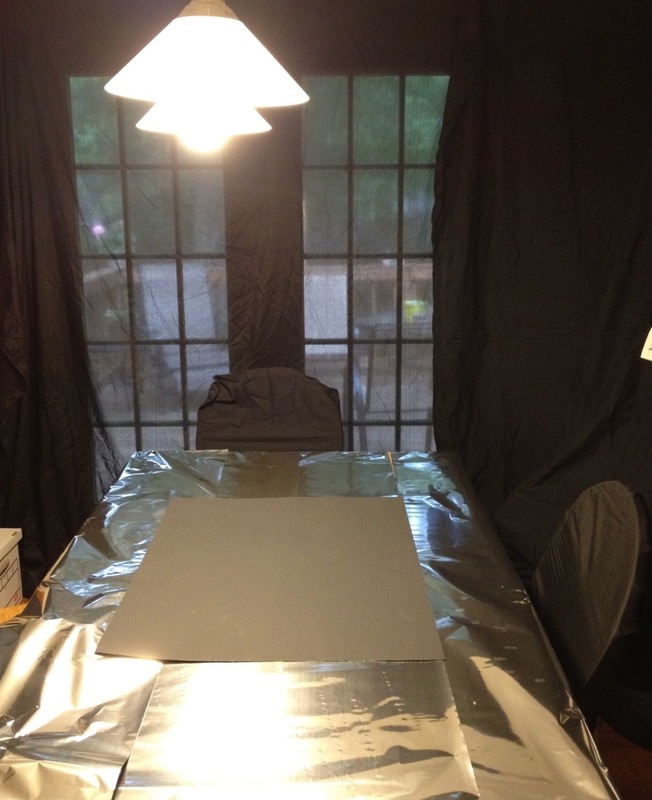 We wrapped the entire kitchen in black sheets. And what wasn’t wrapped in sheets was wrapped in tin foil. 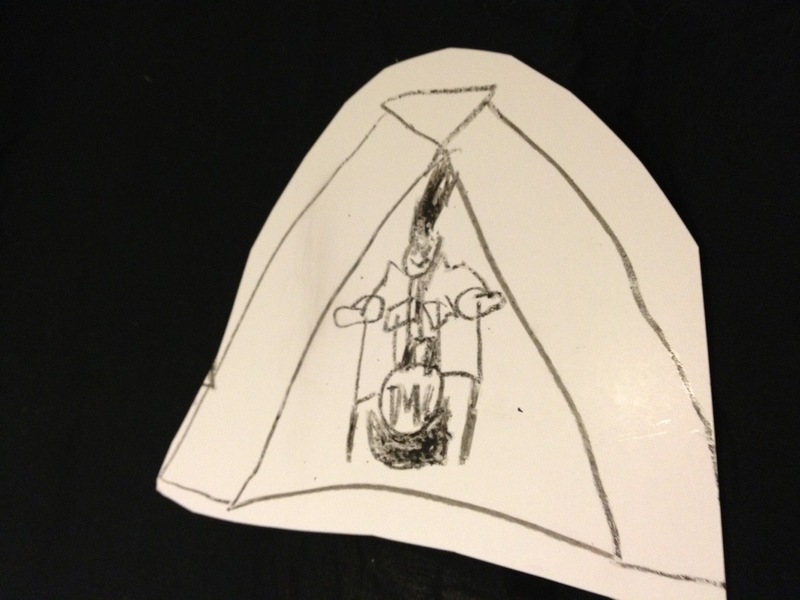 Because tin foil is very, very metal. 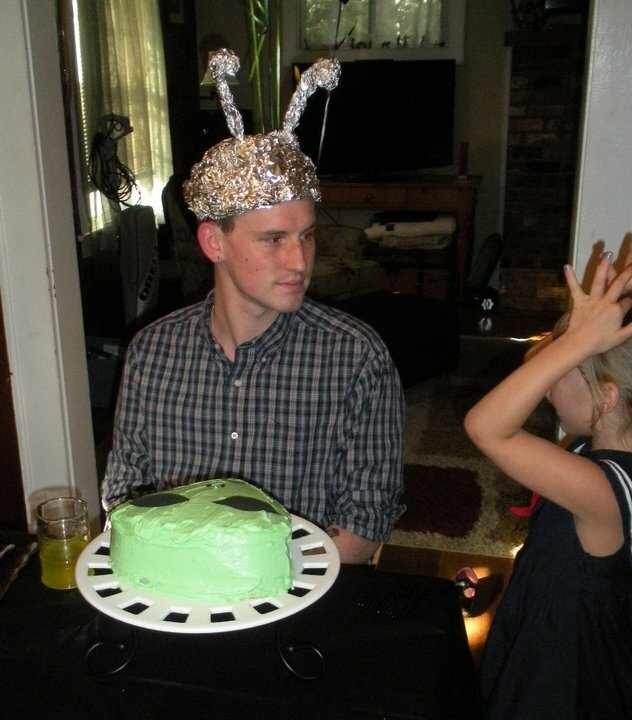 Last year we made a tin foil hat for MQD’s Alien Birthday. I’m not really sure how we are going to keep the tin foil alive for his 30th birthday next year. Somehow THIRTY IS SO TIN FOIL SWANS FILLED WITH LEFTOVERS just doesn’t have the ring to it I’d like. Fortunately I have a year to think on this. In the meantime I’m having trouble figuring out how my adorable twenty five year old boyfriend turned in to my almost thirty year old husband.